Portgual crest and colors show your team pride. Nike VaporKnit technology delivers exceptional mobility and lightweight comfort. Quick-drying, high-stretch yarn provides flexible comfort. Open knit structure in key areas increases airflow. Raglan sleeves allow a natural range of motion. 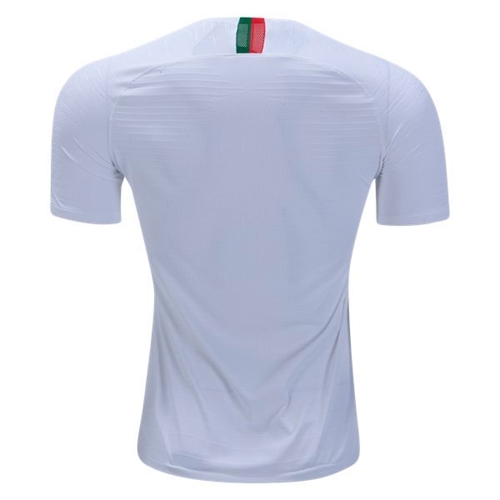 NOTE: Tight fit, which means any jersey classified as Authentic will run small. The authentic is the actual piece that is worn on field. The authentic uses a performance cut for a snug fit. It also has a bonded crest. The authentic also features upgraded materials. The upgraded materials on the authentic result in a lighter weight. 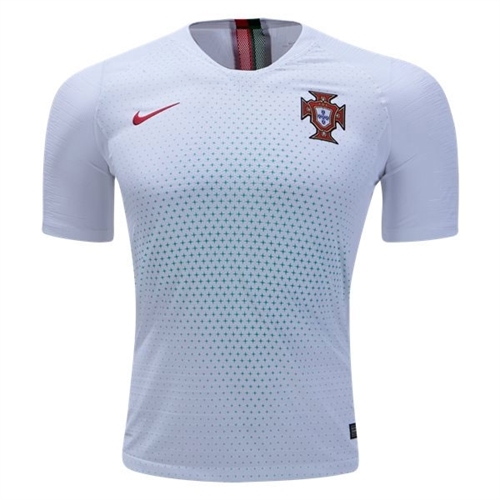 Our Nike Portugal Authentic Away Jersey 2018 reflects what the players wear on the field, featuring Nike Aeroswift technology—a combination of engineered breathability of Nike VaporKnit technology to the next level with quick-drying, high-stretch yarn designed to combat cling and weight from added moisture. Cooling zones in key areas use an open-knit structure to increase airflow where you need it most.